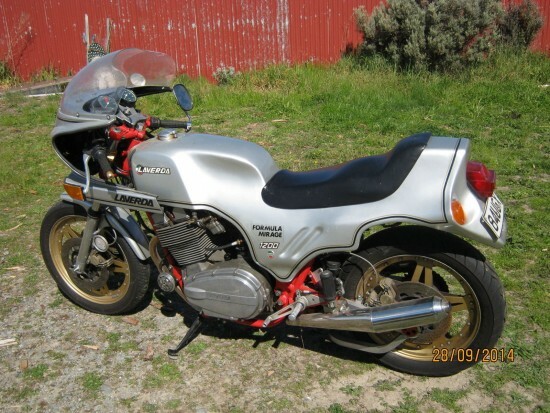 While currently located in New Zealand, this Laverda Formula Mirage has a very American sensibility. 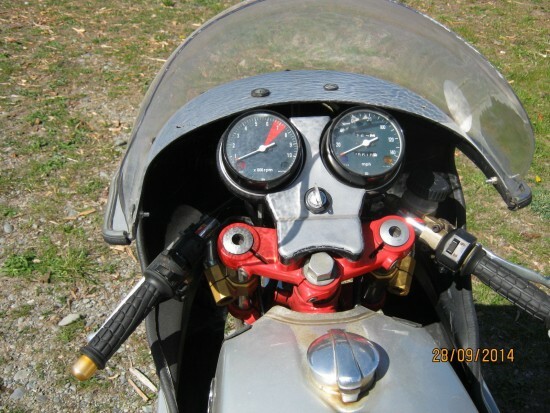 In spite of their accents and the fact that they drive on the wrong side of the road, enthusiasts in New Zealand and Australia have more in common with gearheads here in the US than they do with European riders. The wide-open spaces found Down Under lend themselves to the same afflictions that plague us here: big, stupid horsepower and straight-line speed. Laverda Formula Mirage, 1 of 14 built by Slaters. Astralites, Goldlines, rebuilt motor . In excellent condition. 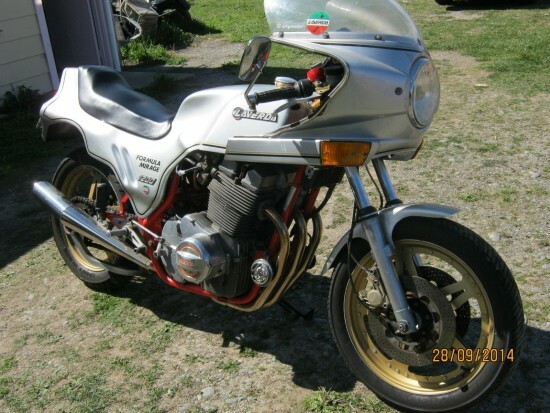 Although the seller mentions he believes only 14 were built, I did see mention in a Laverda forum by someone who claimed to have original Slater paperwork that stated 17 were actually created. Either way, it’s a very rare machine, and the parts are all there, even if the sum performs at a somewhat less-than-expected level. Overall, in spite of character clearly in line with Laverda’s big, burly image, the bike met with decidedly mixed reviews, likely because the market had moved on, and riders had begun to expect both brawn and brains in their bikes: the “bigger, louder, faster, harder” mentality was just too primitive to appeal. For collectors looking for a classic Laverda that captures the look and feel of the big, manly motorcycles from Breganze, this could be just the ticket. 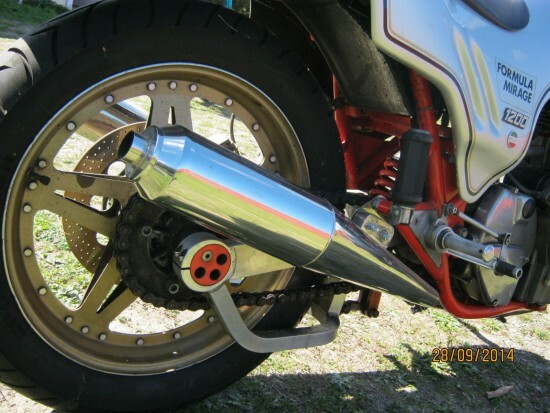 Was the single rear shock and heavy duty aluminum swing arm a Slater mod? Also is this the 120 degree engine? 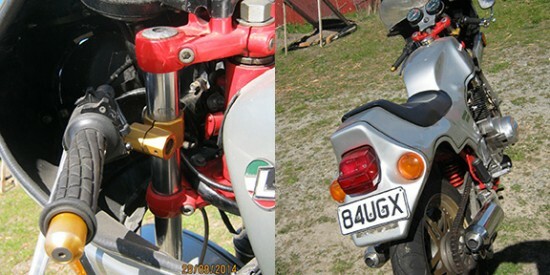 Toecutter wouldn’t be caught dead on that thing-but it is a Laverda!! Swingarm is aftermarket-this is a 180 degree crank motor. The Mad Max Toecutter? If so, why, its big like The Kaw Z;s in the movie. Just Italy not Japan. Better! Apparently, the very limited run of Formula Mirages used both 120 and 180 degree motors, and the seller does not indicate which this is. And yeah, that one-piece bodywork did make me think of Jim Goose’s MFP bike… I was just avoiding the obvious joke! Yeah for sure. Goose was my favorite character in that flick.